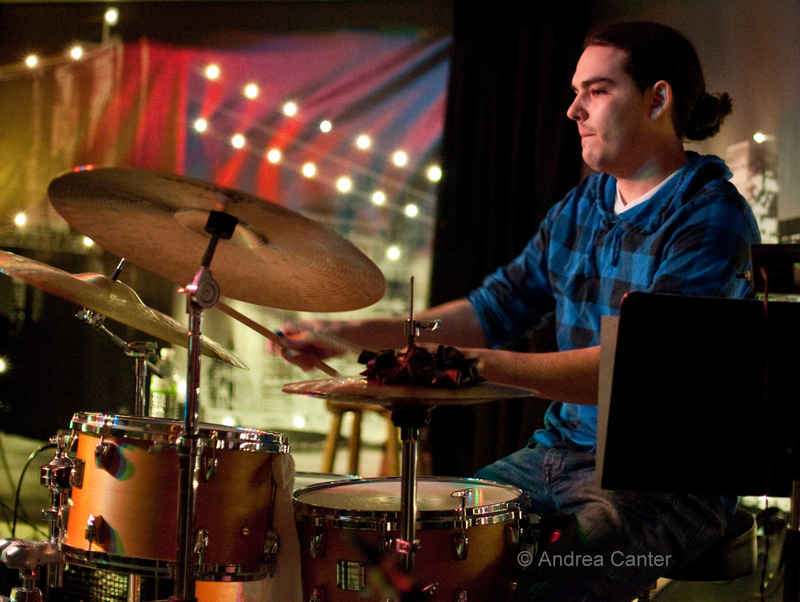 JazzInk: Keeping Jazz Alive: One Weekend at a Time? Keeping Jazz Alive: One Weekend at a Time? 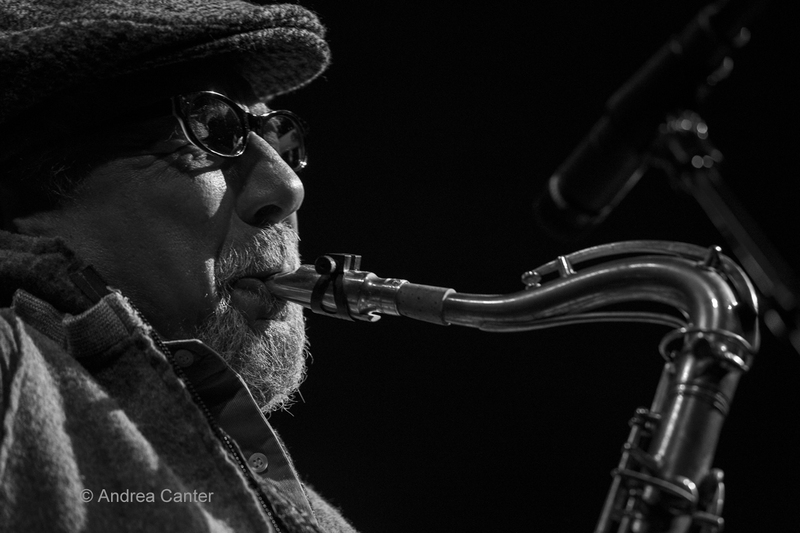 Charles Lloyd at the Dakota on March 11 - plenty of open seats at the late set! Sometimes I wonder if I am just fooling myself (and anyone who asks) that jazz is really alive in the Twin Cities. When I am at Jazz Central, the Artists Quarter, Black Dog or Studio Z, for example, the vitality of the music is beyond question. Veterans like Donald Washington, George Cartwright, Peter Schimke, Milo Fine, Dave Karr, Pete Whitman, Dean Magraw (and so many more) lead ensembles of all jazz leanings in performing new music and reinventing the innovative music of past generations. And young monsters like Adam Meckler, Nelson Devereaux, Miguel Hurtado and Brian Courage keep rising to the top, guaranteeing the longevity of the local scene. But when I am at these and other venues, typically on a week night, I am often one of a small handful of listeners. Sometimes I can count the audience on one hand. This holds true for mainstream vocalists, not just the more “out” instrumental ensembles. Clearly the art of making jazz music is alive and well in the Twin Cities. But what about the audience? And then comes the weekend and things perk up. The Dakota is generally packed on Friday and Saturday, although one might argue that the crowd is there to have a good time, not necessarily pay much attention to the music. The Artists Quarter, if not routinely sold out, typically boasts a strong weekend crowd, and at least those sitting from the front of the bar forward are generally listening intently. And just this past Saturday night, when it seemed there were too many conflicts for any one event to draw well, the presence of top national as well as local talents seemed to feed itself – Randy Brecker with the JazzMN Orchestra sold out the Hopkins High School Performing Arts Center; McCoy Tyner had similar success at the Hopkins Center for the Arts; Dave King Trio filled the house at the AQ; Jazz at Studio Z, boasting Fat Kid Wednesdays, had one of its best crowds; even the relatively small series, Jazz @St. Barneys in Plymouth, drew at least its usual 50-60 for the Travis Anderson Trio. I am confident Nachito Herrera drew a full house at the Dakota, so throw in another 200. By my rough, conservative estimate, those shows alone drew at least 1600. That’s probably a good 1500 more than the total metro jazz audience on a Monday or Tuesday. Someone pointed out that weekends draw regardless of the music – and series like JazzMN or Hopkins will typically fill a lot of seats, also regardless of any one concert or artist. Still, the Artists Quarter and Studio Z have no such drawing power – you don’t go to those venues without some commitment to the music. There are plenty of bars, restaurants, and other arts activities. So what’s with the dim attendance on week nights? Even Charles Lloyd, by all accounts one of the most inspiring musicians to come to the Twin Cities, could not fill the late sets at the Dakota Sunday and Monday. Does every jazz fan have an 8-5 day job these days? If so, who are all those folks I see in neighborhood coffee shops from 9 am til noon? The best bargains in town, for jazz anyway, are often on weeknights. Covers for local music are often $5 at the Dakota and Artists Quarter, and both venues have free nights or free early sets. (Come early—you can be home and in bed by 10!) Jazz Central asks for a donation to cover the musicians and rent, typically in the $7-$10 range and you don’t have to worry about spending more money on food or drink. (Or parking on the east side of the street!) The Black Dog is often free or a low cover. The relatively new Icehouse, which often does draw a young and late audience midweek, is generally $5. The list of free and cheap goes on and on. Jazz isn’t dead in the Twin Cities. But from Monday through Thursday, too much is heard by too few. As we anticipate Jazz Appreciation Month in April, let’s show our appreciation Monday – Thursday. Jazz -- not just for night owls or weekends anymore! P.S. 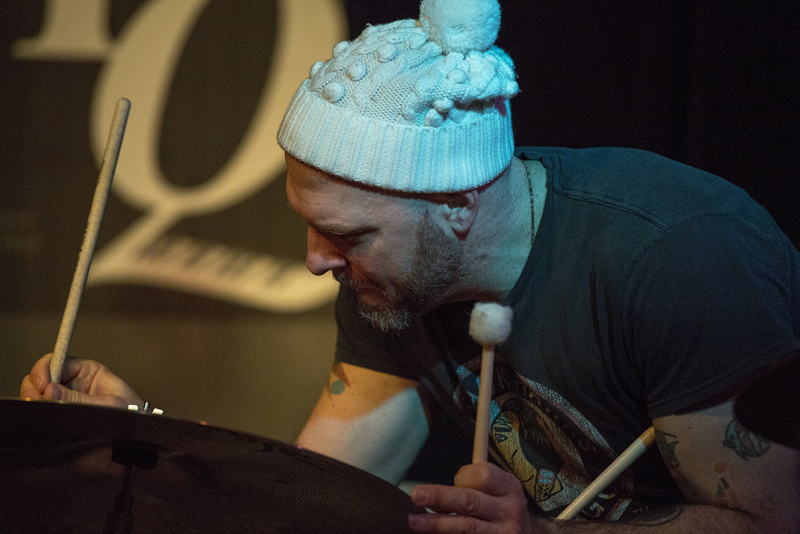 Check out world renowned percussionist Tatsuya Nakatani when he meets up with bassists Adam Linz and Chris Bates on Monday night, March 18 at the Black Dog. 8 pm, $5-10 suggested cover. Don't worry, you won't fall asleep or stay out past your bedtime. Or hear anything else remotely like it. 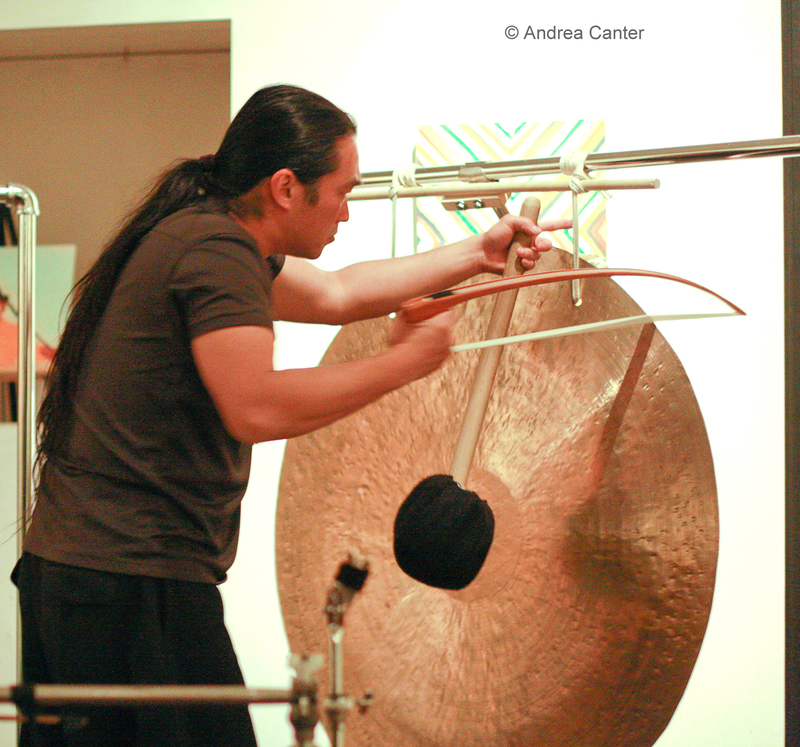 Tatsuya Nakatani, man of many gongs, coming Monday night to the Black Dog.